Intelligence Squared US is a series of public debates on a wide variety of important, contentious topics. A motion is proposed and two experts who support the motion debate two experts who oppose the motion. The debates take place in front of a live audience and are later broadcast on NPR, released as podcasts, and shared through other means. Examples of past motions include: “Millennials Don’t Stand a Chance,” “Snowden Was Justified,” The Constitutional Right to Bear Arms has Outlived Its Usefulness,” “Affirmative Action on Campus Does More Harm Than Good,” etc. Before the debate, the live audience is privately polled on their current support for the motion. After the debate, the audience is again polled. During both sets of votes, audience members can select “For,” “Against,” or “Undecided.” The side that has increased their share of the votes by the highest amount is declared the “winner” of the debate. In this debate, the side arguing FOR the motion would be declared the winner. The FOR side increased its votes by 9 percentage points (31 to 42) while the AGAINST side only increased its votes by 5 percentage points (from 44 to 49). Note that while FOR won the debate, they actually had a smaller percentage of total votes in the AFTER round of voting–it is the increase in votes that matters, not the total number. It is interesting to look at the data* from past debates to see how the voting changed during the course of the debate. For example, sometimes there is a very clear winner: in “More Clicks, Fewer Bricks: The Lecture Hall is Obsolete” (4-2-14), the FOR side increased by 26 points while the AGAINST side decreased by 12 points. Sometimes, there is no clear winner: in the “Cutting the Pentagon’s Budget is a Gift to Our Enemies” debate (6-19-13), the FOR side increased by 7 percentage points and the AGAINST side increased by 8 points. However, it is important to note that the final tallies were actually 29% FOR and 65% AGAINST–quite far apart. The winner of the BEFORE or AFTER vote could be very different than the winner of the debate (the side that increased more). Across all n=92 debates, the overall winner has only matched the winner of the initial vote 44.6% of the time. The overall winner has matched the winner of the final vote 73.9% of the time. It actually makes sense that losing the initial vote may be an advantage: since the winner is determined by who increased their votes by the highest amount, starting with fewer votes than the other side provides more potential converts. If you start with 20% of the vote, that is 80% of the audience you can pull your increase from. If the other team started with 40% of the vote (thereby winning the first vote), they only have the remaining 60% of the audience to pull to their side. If you start with a smaller vote count, this also gives you fewer of your own voters to potentially lose in the final vote! As you may have noticed, the tallies for FOR and AGAINST can both go up from the beginning to the end of the debate–and often do–due to the presence of UNDECIDED voters. A quick glance at the results shows that the number of undecided voters tends to go down substantially from before to after. The data certainly supports a major decrease in UNDECIDED voters. In every single one of the n=92 debates, the number of UNDECIDED voters does indeed decrease from the initial vote to the final vote. Across all of the initial votes, the median percentage of UNDECIDED voters is 30, while across all of the final votes, the median percentage of UNDECIDED voters has dropped to 8. Audience members conclude that there are actually compelling and mutually valid reasons to favor BOTH sides of the argument and they gain a greater appreciation for the complexity and nuance of the issue and, unable to settle on a side, they vote UNDECIDED. Upon hearing good arguments on both sides of an issue, audience members weigh both sides and conclude that the slight (or not so slight) leaning they now have to one side of the issue must be sufficient to declare a side which they then vote for…. or some single argument happens to particularly resonate with them for whatever reason and they pick the side associated with that argument regardless of the rest of the debate. I’ll set aside the philosophical question of which scenario is preferable in which situations, set aside the psychological question of the conditions under which people are more likely to choose one or the other, and set aside the political/sociological question of how to nudge people towards one scenario or the other and instead simply report what people actually did in this Intelligence Squared context. Where did all of the UNDECIDEDs go? More data! It certainly clear from the large decrease in UNDECIDED voters overall (30 percentage points initially to 8 at the end) that many people fall into scenario 2: they pick a side. However, it is not yet clear what this actually looks like in practice…. Maybe most of the undecided people tend to flock to one side (presumably a “better” side that has won the debate). Alternatively, maybe the UNDECIDED people were simply uniformed and, upon learning more about the issue during the debate, will pick sides in the same proportion as the rest of the audience who had already previous picked a side. Also, while it is clear that the total number of undecided voters is much lower, indicating that lots of the previously undecided voters picked a side by the end, what is not yet clear is if some people who previously had an opinion became undecided during the course of the debate and, if so, how many. Finally, it seems reasonable that, when spending an evening hearing thoughtful and well-respected experts make carefully reasoned arguments on both sides of an issue, at least some audience members would realize that they are, in fact, undecided about where they stand on that issue (or even on the wrong side entirely). But is that actually the case? Luckily, in addition to publishing the starting and ending “scores” for debates, Intelligence Squared has also published the breakdown of votes AFTER the debate grouped by audience members’ votes BEFORE the debate for n=26 recent debates. This allows us to see, for example, how many FOR voters stayed at FOR, switched to AGAINST, or switched to UNDECIDED. Purple represents voters whose initial and final votes were the same (they didn’t change their minds at all). Orange represents voters who had an opinion to start with, but ended with the opposite opinion. Yellow represents voters who were initially UNDECIDED but ended up picking a side. Green represents voters who had an opinion to start with, but whose final vote was UNDECIDED. Intuitively, you can also think about this in terms of rows or columns. The UNDECIDED row adds to 31: this means that in the initial vote, 31 percent of the audience was UNDECIDED. Among these 31 percent of the audience, in the final vote 13 of these percentage points voted FOR, 5 of these percentage points voted AGAINST and 3 of these percentage points voted UNDECIDED. Similarly, looking at the UNDECIDED column, for example, 10 percent of the audience was UNDECIDED in the AFTER vote, and 1, 6, and 3 percentage points out of these 10 had voted FOR, AGAINST, and UNDECIDED, respectively, in the BEFORE vote. How did votes change from BEFORE to AFTER? The table above only lists data for a single debate. Let’s look at trends across all n=26 debates for which full voting data is available. When looking at multiple debates, FOR and AGAINST are pretty arbitrary and depend on the wording/structure of the motion being debated. Thus, in the initial votes, I’ll combine FOR and AGAINST into the “had an opinion” bucket. 51 percentage points (purple) of the total audience had an opinion (FOR or AGAINST) in the BEFORE vote and voted in exactly the same way in the AFTER vote. 26 percentage points (yellow) were UNDECIDED BEFORE, but picked a side AFTER. 4 percentage points (green) had voted either FOR or AGAINST in the BEFORE vote, but became UNDECIDED in the AFTER vote. 5 percentage points (purple) were UNDECIDED in both votes. Only 56% of the audience voted exactly the same BEFORE and AFTER! Some people changed their mind! Among people who had picked a side in the BEFORE vote, 20% of these people voted for the opposite in the final vote and 6% became undecided. The vast majority (84%) of people who were initially UNDECIDED ended up picking a side in the AFTER vote. However, those remaining 16% of the initially-UNDECIDED voters who stayed undecided made up 57% of the total number of UNDECIDEDs in the AFTER vote. Only 9% of the full audience was UNDECIDED in the AFTER vote. But who exactly did the UNDECIDEDs all vote for? For ease of comparison in a moment, let’s define people who have “picked a side” (P.A.S.) as those who voted either FOR or AGAINST (not UNDECIDED). We’ll look at the ratio of FOR/P.A.S: the proportion of FOR votes out of all FOR and AGAINST votes. Considering the “yellow” voters who had been UNDECIDED, but eventually picked a side, how do their final votes compare to those of the rest of the audience? Let’s look at the proportion of these people who picked FOR in the AFTER vote (the FOR/P.A.S. ratio). Which of the following do you think is most closely associated with the AFTER votes of these UNDECIDEDs? The BEFORE votes of the rest of the audience (FOR/P.A.S. in BEFORE vote). Maybe the population as a whole forms opinions on the issue in a certain proportion (equal to the proportion in the initial vote). Once audience members become informed about the issue through the debate, they’ll vote in a similar proportion as had people who had already been well enough informed to pick a side. The AFTER votes of the rest of the audience (FOR/P.A.S. in AFTER vote, among those who had picked a side initially). Based on the debate, maybe a certain percentage will vote FOR regardless of whether they were UNDECIDED to start with. A diagonal line (slope=1) would indicate that the proportion of UNDECIDEDs voting FOR in the AFTER vote exactly matched the proportion of FOR votes BEFORE (graph 1) and proportion of FOR votes AFTER (graph 2) among those who had picked a side. A glance at the graphs shows that the AFTER vote of the UNDECIDEDs is more closely related to the AFTER vote of everyone else (graph 2) than it is to the BEFORE vote of everyone else (graph 1). The math backs this up. Doing a single-variable linear regression on each scenario, scenario 2 comes out ahead: bigger R^2 (.12 vs. .45), higher actual slope (.32 vs. .67), and lower p-value on the slopes (.09 vs. .00017). Everyone else’s AFTER votes are a better predictor of the UNDECIDEDs’ votes than everyone else’s BEFORE votes! A possible explanation for this is that that the final vote by people who had previously picked a side is indeed related to the final vote of the previously-UNDECIDEDs, due to the substance of the debate. It could also be partially due to the rest of the audience simply being more honest in their voting in the second vote (recall that people who come in strongly supporting one side have a strong incentive to lie in the BEFORE vote in order for their side to increase its share of votes by more in the AFTER vote). If there is some universal proportion of people voting FOR on a particular motion once they are fully informed, the (now-assumed-to-be-voting honestly) voters who picked a side initially are apparently more connected to the votes of the previously-UNDECIDEDs. Most people who start with an opinion (FOR or AGAINST) end with the same opinion: 74%. Most people who are initially UNDECIDED do pick a side: 84%. The side they pick is more closely related to the AFTER vote of the others than the BEFORE vote of the others. A few people who start with an opinion actually change their minds during the debate: 20%. It is not clear how many of these people authentically change sides and how many are simply gaming the voting system to benefit a favored side. Conceivably, a voting system could be designed that can’t so easily be gamed, but such a system may have other downsides, and would almost certainly have the downside of being harder for the audience to understand than the current “winner= the side that increased more” system. A few people who were UNDECIDED stay UNDECIDED: 16%. A (very) few people who had an opinion to start with become UNDECIDED: 6%. Apparently, hearing arguments on two sides of an issue (arguments that audience members perceive to be high-quality) leads most people to settle on an opinion, even when given the option be UNDECIDED. In this situation, where lots of focus in put on who will win (as in many other contexts), people could feel socially uncomfortable being UNDECIDED. However, if an issue is complex and nuanced enough to be debated in this context, there certainly seems to be value in realizing through this process that you are, in fact, UNDECIDED. I wonder what would happen if a third pair of panelists was included in the debate: panelists who would argue for UNDECIDED–they “win” if the UNDECIDED vote increases by the greatest amount! Do you agree that there is value in people being UNDECIDED? Do you have other ideas (in this context or elsewhere) for how to empower more people to be UNDECIDED? *Here is the data. The first tab includes the BEFORE and AFTER voting data for all n=92 debates that have taken place as of today (7-27-14). The second tab includes data for the n=26 more recent debates for which complete data (the exact mappings from people’s BEFORE votes to FINAL votes) is available. HT to Ian Simon for posing an initial question about the decrease in UNDECIDED voters in Intelligence Squared debates. I recently had another post published on City Year’s internal IJ Blog! You need a City Year login to be able to view the original, so the full text is included below. Sorry that there is some City Year jargon in this essay! Here is a publicly accessible link to my previous essay published on the same City Year blog. Near the mid-point of our year, I asked my team to make two lists: components of an ideal work environment (for us) and components of an ideal learning environment (for our students). Corps members made long lists in both categories. For example, for an ideal work environment, CMs [corps members] listed colleagues turning in work on time, doing things together outside of work, not distracting people who are working, having hour long lunch breaks, assuming good intent, asking if anyone needs support, and about 30 more items. CMs did the same thing for an ideal learning environment, also generating a very long list. Once everything was listed, we went back through each list and kept only the items that were actually within the power of the people in the room to realistically implement (the team, the TL [team leader], and the PM [program manager]). For example, we eliminated “hour long lunch break” since the school’s class schedule and our 50 Acts of Leadership Lunches make this impossible. For items that remained, we organized the list and continue to refer back to it periodically during circles. Everyone privately selects an item to work on personally, and publicly selects an item for the group to work on. This has been working very well—the team has been taking ownership over our own personal growth and over our own role in creating an ideal situation for ourselves and our students. People are surprised by how much of this is actually in our power! However, what stands out to me about this activity is not the improvements that have already happened in the areas the group decided that we can control, but rather the volume of items the team eliminated from the list that they decided that they had no control over. For an ideal learning environment for students, one of the items that had been voted down was “good teacher morale and positive attitude.” Certainly, corps members can’t directly control how the teachers feel about their work. However, I was disappointed that the team missed out on the pretty substantial indirect impact we can have on teacher morale, by being in the school, helping kids be personally and academically successful, and working to change the tone in the school—in fact, this is what City Year is designed to do! People’s “self-efficacy” is the extent to which they personally believe they can accomplish something. There is psychological research that shows that a person’s lack of self-efficacy makes it less likely for them to actually accomplish their task. The CMs’ sense of self-efficacy didn’t include an ability to change the mindsets of those around them. There were also several other items eliminated as being out of our control that really shouldn’t have been. My fear is that this lack of self-efficacy actually prevents us from having the impact we aspire to have. City Year’s very first PITW encourages us to “challenge cynicism—wherever [we] find it. […] Cynicism is the enemy of positive change because it discourages creative thinking—and destroys both the belief that change is possible and the will to act.” Challenging cynicism and developing one’s own sense of self-efficacy go hand in hand. The conversation with my team indicated cynicism at several levels. The teachers’ (perceived) low morale indicates some cynicism on their part. The corps members’ belief that they had no power to impact the teachers’ morale indicates some cynicism on their part. At a deeper level, the teachers’ cynicism may be at least partially due to some cynicism on the part of their students: I’ve spoken with MANY students who think that school is just something that happens to them—they get in trouble, other kids bother them, they get scores and grades, etc. They have a very low sense of self-efficacy; they don’t realize that they have the ability to change anything around them or their own experience of school. City Year’s 50 Acts of Leadership, among other things, is designed to help them develop this skill: as they see the positive impact they can have on themselves and their environment, their level of self-efficacy increases, and they actually start to have more of a positive impact on themselves and their environment, continuing this cycle. Seeing the positive outcomes of one’s work leads to an increased sense of self-efficacy and an increased sense of self-efficacy leads to more positive outcomes of one’s work. A person’s own self-efficacy experiences peaks and valleys over time, certainly during the course of a year of a service! This is normal. However, one way to measure the success of a year of service (or a year of anything) is to look at the general trend in one’s own sense of self-efficacy. Do I perceive more self-efficacy at the end of the year than the beginning (in June, do I think I am able to get a larger amount of important work done than I thought I could have in August)? Does my team? Do the school staff? Most importantly, do the students? Imagine placing yourself in a school in which the self-efficacy of students, teachers, and corps members is very low compared to a school in which it is very high. Where would you rather be? Where do you think the students would rather be? Working to increase self-efficacy probably isn’t sufficient to change the climate of a school on its own, but there is clearly value in developing a school-wide sense of self-efficacy, and an increase in self-efficacy usually signals that good things are happening in that environment. I’m skeptical of any apparent progress that isn’t accompanied by an increase in self-efficacy. Having a clear vision for the future coupled with a powerful sense of self-efficacy and working to spread that to everyone around you has a name. It is called “idealism.” Within City Year, as we each venture forth on our own idealists’ journeys, be aware of your self-efficacy and the self-efficacy of others! I hope that by the end of the year, I’ll empower those around me to increase their own sense of self-efficacy. This is part 1 in a new series of posts titled Irresolvable Inter-Polar Tension, or “II-PT,” for short. The acronym conveniently looks like “two-part” and can be pronounced in that way. F. Scott Fitzgerald once claimed that “the test of a first-rate intelligence is the ability to hold two opposing ideas in mind at the same time and still retain the ability to function.” This series seeks to develop this “first-rate intelligence” in us all by diving into pairs of conflicting ideas, the tension between which can’t easily be resolved. As an educator and as a student, I often reflect on my own experiences as a learner. How did I learn best? What did teachers do that led to the deepest understanding and/or the greatest excitement for the subject? What kinds of assignments pushed me to improve my skill without boring me, without being too hard, without being too easy, without being too long, etc.? What did my teachers do to put me in situations in which I could work most constructively with my peers? Similarly, as a leader and as a follower, I likewise reflect on my own prior experiences being led in different situations. What did a teacher/mentor/manager/leader do that particular inspired me? Helped me be most productive? Helped me be most eager to contribute? Helped me grow the most? Helped me have the biggest impact? Thinking back on my own experiences, there are lots of examples of things that teachers/mentors/managers/leaders did or said that I responded very well to and also lots of examples of things they did or said that I did NOT respond very well to. When I, myself, act as a teacher/mentor/manager/leader (or a colleague, partner, or friend), before doing anything, I strive to jump into the perspective of those who will be impacted and I work to optimize my words and actions so that people respond in the most desirable way. I try to imagine how people might feel and adjust myself accordingly in order to create the best possible outcome based on my own introspection about how I would respond to a similar situation. As a basic example, I remember as a young student being HIGHLY upset when my whole class would get scolded or punished for something that had absolutely nothing to do with me. I imagine that other people feel similarly, and I structure the things I do in order to not put others into this situation. I tend to think this mindset is very useful. In practice, this active empathy works quite well. I often see cases in which problems are avoided with this strategy. I also see people get into difficult situations due to NOT using this strategy. However, while this is clearly a valuable tool, what is not at all obvious to me is the extent to which I can assume that, put in the same situation, others would actually react the same way that I would. To what extent are my own observations of my own reactions generalizable to others? What components of my own reactions are simply human nature, uncovered by my own introspection, (which can be generalized to others) and what components are simply unique to my own specific personality and experiences? What percentage of people might respond as I do? There is certainly value in using introspection to explore my own reactions, assuming others will react in similar ways, and making decisions based on this. However, I am also very aware of situations in which I wasn’t able to predict people’s reactions correctly or they reacted in a way that hadn’t even occurred to me. It is not practical (or fair) to always assume a particular response. There is certainly tension between the constructive use of introspection and the over-use of introspection. Finding the correct balance is an interesting and ongoing challenge! Tufts University is starting a new program for incoming first-year students where they can spend a year after high school doing a year of service domestically or internationally before starting their freshman year of classes the next year! In the spirit of Black Friday, Small Business Saturday, and Cyber Monday, the Tuesday after Thanksgiving is designated Giving Tuesday–a day set aside for supporting non-profits that are doing important work in the community. Here are three non-profits that particularly inspire me with their ongoing work that is innovative, important, and well-executed. Sustained Dialogue seeks to bring diverse groups of people (and sometimes people in direct conflict) together to learn from each other, mutually broaden their perspectives, and develop relationships that allow them to solve important problems in innovative and lasting ways. The SD Campus Network works to grow these programs on college campuses and develop a community of people empowered by their new-found connections with others and dialogue skills. 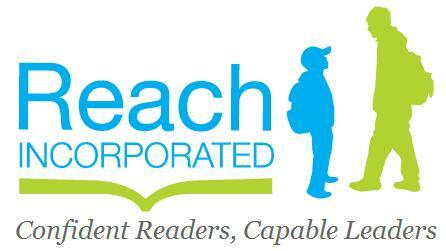 Led by Mark Hecker, Reach Incorporated empowers low-performing high school students by training them to tutor and mentor low-performing elementary school students, to benefit the tutees AND the tutors! Recently, the tutors wrote, illustrated, and published several children’s books! The Future Project places a “dream director” into schools to work with students and staff to develop their dreams and work to transform those dreams into reality. Students (“fellows”) are supported by mentors as they work to bring about the changes they wish to see in their schools and communities. Together, these people transform the culture of a school into a place where people are empowered to pursue their passions and creatively make a positive impact in the world (not just pass tests)! Note: these three non-profits and several others are included year-round (not just on Giving Tuesday) on the Zack’s favorite thinkers and doers page. It is indeed valuable to help students learn to connect their actions with the negative outcomes that will result from those actions. However, in the schools I’ve worked in, this connection between negative actions and negative consequences is much more emphasized than the parallel connection between positive actions and positive consequences. Many 6th-8th graders at my school simply do not realize that they are able to do things that will positively impact themselves and those around them. Many 6th-8th graders at my school do not realize that they are able to do anything that has any impact on anything (except maybe getting themselves in trouble). During the course of the school day, students are not permitted to make any decisions about themselves or their environment. Upon getting off the bus, they are escorted directly to various holding areas around the school where they are picked up by their teachers and led in single file lines to their classrooms. During each class, they are told precisely what they need to be doing at each moment to avoid getting in trouble: where they should be looking, what they should be writing, who they should be talking to (usually no one). At lunch they are escorted to the cafeteria and told what table to sit at, then they are called up table by table and told what lunch line to get in. They are provided certain times during the day when they are escorted to the restroom. At the end of the day, they are escorted back onto the buses. One of my goals in my current role as a City Year team leader is to help students understand that they have the ability to make decisions which can positively impact their own lives and the lives of other people. One way we do this is through our 50 Acts of Leadership program. Students are selected for this program based on their teachers observing that they have significant leadership potential (which the students may sometimes choose to channel in counter-productive ways–such as disrupting class). The students meet biweekly with City Year corps members during lunch to learn about leadership and, most importantly, to review the “acts of leadership” they have completed since the previous meeting. These acts can be small (holding doors open, assisting a classmate) or large (organizing a service project). By the end of the year, the goal is for students to have completed at least 50 Acts of Leadership, enough so that they can start to see the good that they are capable of doing and the positive impact they can have on those around them and hopefully enough so that this starts to become a habit for them! The Washington Post released an article this weekend about “super zips”–zip codes with very high median incomes and education levels–with a particular focus on super zips in the D.C. area. While categorizing entire zip codes each as a single entity may remove some of the precision about individual communities from these findings, there are still some valuable descriptions of people’s lives in the more affluent (on average) zip codes. These trips are great–I have participated in or led (secular) service trips to various places throughout the country several times. Trips such as these provide a great opportunity to explore unfamiliar parts of the country, unfamiliar cultures, and unfamiliar lifestyles, all while trying to do some good while you are there. However, while experiences such as these lay great foundations for further exploration, reflection, and service, they are not themselves sufficient in truly educating people about what it means to live in non-affluence. I hope the trips can be used as a stepping stone towards actually engaging with people who are different, not just “going to help the poor people.” If the students can channel the learning from these trips into forming lasting relationships, as equals, with people who aren’t exactly like them, maybe in their very own community, only then will they be sufficiently out of their super zip bubble.